Wanda E. Brunstetter’s 2013 novel, The Tattered Quilt, finds an Amish quilter teaching her craft to a group of students, each piecing together the fabric of his or her life. 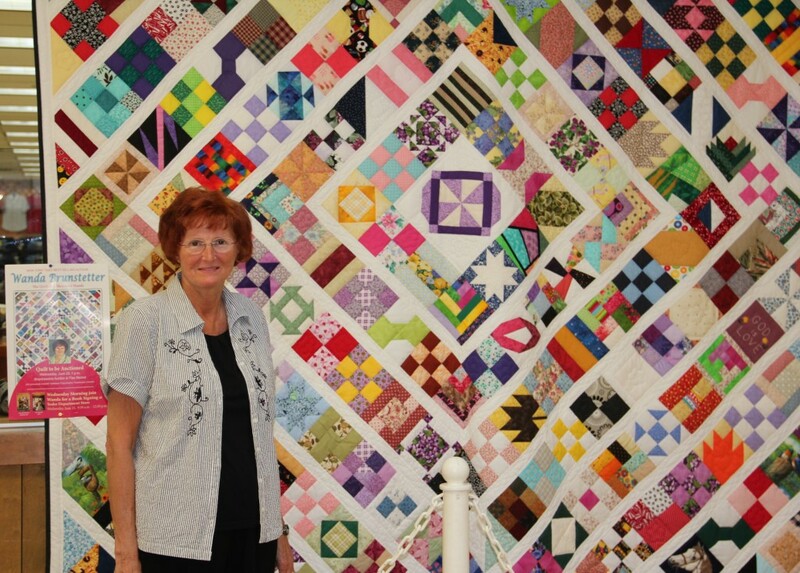 NBPR launched a drive encouraging crafters nationwide to donated quilted squares, which have since been pieced together by an Amish artist to make Wanda’s beautiful “Quilt of a Thousand Hands.” The quilt was auctioned off at the Shipshewana Quilt Festival in Indiana in June 2014, with the proceeds donated to Oaklawn Psychiatric Center, a local facility that serves the Amish. Wanda made several appearances at the Festival and was present at the auction. The program generated media and online coverage for an entire year.